"Make the most of it, take in as much as you can, get involved in everything and enjoy it!". Before MAMA Youth Project I went to the University of Kent and earned both a BSc and MA in Music Technology. I always knew that I wanted to be involved in something both creative and technical. I managed to combine both, having had classical music training at a music school. 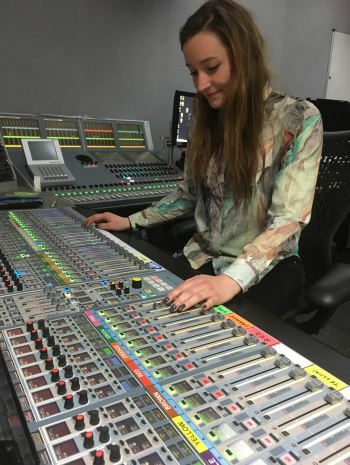 I chose a Music Technology degree because it offered a mixture of sound-related topics and its various applications. During my masters I also began teaching music, then moving onto working freelance stumbled across the MAMA Youth post and applied. The interview process was intriguing, from the online application form through to the challenging group interview, testing our social skills, adaptability, willingness to learn and participate, resilience and much more. Seeing as I have never taken part in anything like this, I was excited at the prospect of being accepted. I had the feeling that whatever would be behind that door would be an invaluable once-in-a-lifetime experience. What surprised you about MAMA Youth? I was surprised at how much I learnt in such a short period of time. I didn’t know much about the TV industry, but all of the MAMA Youth staff was willing to share their knowledge and experience. I know that it always takes time to achieve anything, but what makes it even more difficult with the TV industry are the contacts you need to get where you want to be. Though I realise this is something that’s changing nowadays and there are more opportunities for ‘outsiders’ to work their way up and succeed. Another pleasant surprise was learning how well I managed stress and the rigours of working with others under pressure in such a stressful environment. I left MAMA Youth in June 2017. I followed this up with a three month placement at Procam, which is one of the MAMA Youth Partners. This was a really good experience, helping me to learn not only about sound but also lighting and cameras. In the meantime, I had already applied for a job at Sky and had to leave my placement early when I was offered the Sound Operator role at Sky, where I’m currently still working. 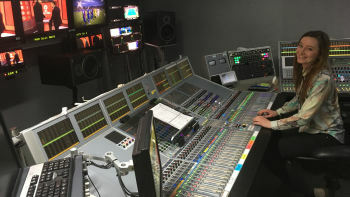 As a Sound Operator, I rig studios for various live and pre-recorded shows, placing microphones on talent, mix, look after the equipment, liaise with other people involved in production and am responsible for comms. Ever since I started I have been constantly learning new things, with a lot of training and incredible support from the management and the rest of the sound team. I work shifts and mainly weekends, but it’s nice to have an off-peak commute and the odd days off in the week. I was a Trainee Sound Operator at MAMA Youth. It was my first experience of getting to know location sound and some of the equipment used on those kinds of shoots. My responsibilities included recording sound on shoots, placing microphones on presenters and guests, preparing kit for shoots, troubleshooting, maintaining equipment, liaising with production and running duties. It was incredibly important to work as a team because of the time constraints and workload we were faced with. I was also given the opportunity to act as cameraperson on a couple of shoots and produced and edited my own item, which was an extremely valuable and enjoyable experience. I learnt something new from every situation at MAMA Youth, and this allowed me to solve similar problems, which have arisen since. I learnt how to work on shoots, with production schedules and various teams. Working with MAMA Youth as a Sound Recordist had such positive effect on my confidence. 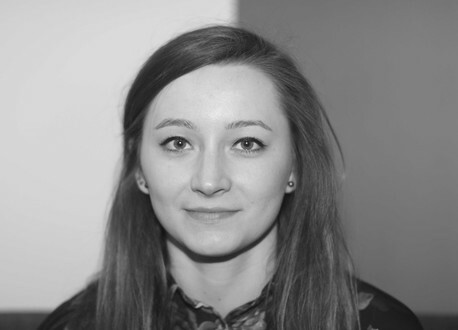 I improved my communication skills whilst liaising with different people, learning how to be concise, clear and professional. I have become more resilient, finding myself in various challenging situations, learning how to address problems and solve them quickly. I have also become a better team player, learning how to support others to make working towards the end-goal more successful and efficient. Definitely the experience as a whole, but if I had to point one specific thing out, it would undoubtedly be the people. The MAMA Youth staff are remarkably committed to the project and are extremely knowledgeable, experienced, knowing how to share that with the trainees. On the other hand being surrounded by the other trainees, with so many people from various backgrounds is great, because everyone can learn from each other. It’s nice to know you’re in the same situation as all the other trainees and that they don’t necessarily know what they’re doing either! It’s a very challenging but also supportive environment. It’s great that once you finish your season you’re always welcome back and talk to the team. Also, there’s always a chance for alumni to give their experience and time back to MAMA Youth when they’re already working somewhere within the industry. With no time for a recce, every shoot was a challenge as there was no way to know what problems I’d face on each location, but I learnt to think on my feet and adapt to new situations. Another challenging thing about MAMA Youth was the long hours and the commute. I actually thought it would be more of a challenge, but once you enjoy something it really gives you the energy to get on with it. Also it’s always difficult to start something new but after overcoming the first-day-fear and getting to know everybody, it does get easier with time. My advice for new MAMA Youth trainees is to make the most of it, take in as much as you can, get involved in everything and enjoy it – just be open minded, there’s so much to learn. It really is a team effort, so don’t let the team down! Why do you think it’s important that MAMA Youth exists? The importance of MAMA Youth is in the way they address the lack of diversity and how they help to tackle this. Having a kick-start like the MAMA Youth experience, along with my first broadcast credit has helped me massively in securing my first job in TV and I know I’m not the only one. 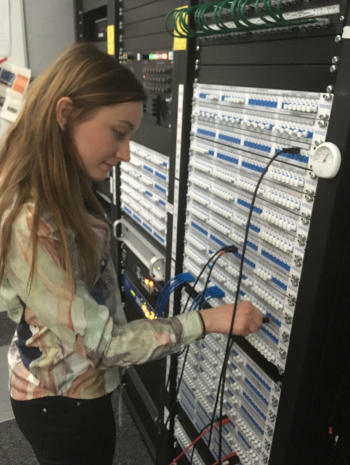 Earning new contracts and recognition can still be extremely difficult for a female in a technical role, but having completed this industry-recognised training will definitely have a positive impact on my career and any future jobs. 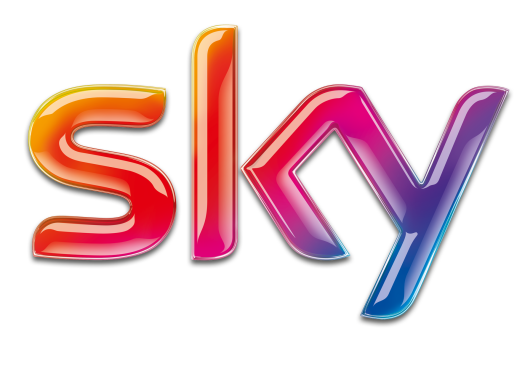 I’m pleased that Sky have also made a real commitment to the diversity agenda and have created more junior rules for people not currently in the industry. MAMA Youth has a great reputation for producing quality talent and employers can expect that if you’ve completed the MAMA Youth project you’ll be dedicated and hardworking, making it easier to be offered a new contract. MAMA Youth means a lot to me because it taught me so much about working in the TV industry, gave me my first broadcast credit and pointed me in the right direction giving me future career prospects.